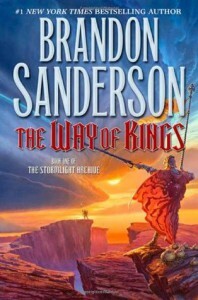 The Way of Kings is hard to review in a way that makes sense to those who have not read through Sanderson's other work. It's bizarre to say "Just wait, give it a chance" to a fantasy reader, who has a bazillion amazing books in the genre to read that are captivating from front to back. Sanderson does have a way of starting slow in his books. Like a diesel motor, he takes a bit to get rumbling; however, once he does, he's a force in fantasy literature, an incredibly enthralling and compelling read. WoK is no different - in fact, it's his "worst" in this regard. It really could not be more obvious that this is the first in a long series. Brandon spends what feels like a torturous amount of time establishing his world, his magic system, his characters. Several hundred pages in, it becomes frustrating, especially if this is your first Sanderson novel (as it was for me). "Why is nothing happening?". 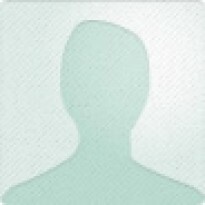 "Why can't I seem to connect with these characters?". I felt the same way, and I've had discussions with people who tried to read this novel and felt the same way. Luckily for me, I stuck it out, because while it starts slow, the middle-on of this book is frankly one of the best fantasy novels of all time. Once things get rolling (somewhere around the halfway point), the story goes from "Why am I bothering with this?" to "Why did I ever doubt this?" faster than a fly dodging a swatter. Kaladin and Shallan both become intriguing and deep characters. Dalinar becomes interesting, sympathetic, confusing, and a 'feel-good' kind of character, regardless of his past. Top that with chracters such as Szeth and Wit, who give an inkling in this book as to their future importance and depth with the series, and you're left with the feeling that things have been set up for skillful and rapid advancement once the second piece of this series is put into place. By the time I was done with this novel, I could not have thought more highly of Brandon Sanderson, and could not wait to read the rest of his work. As a first book of his, it's tough due to its slow start, but it pays off towards the end in a way that no slow-starting book ever has. The worst part about this book is finishing it and knowing that it will be at least 1-2 years (even with Brandon's frantic writing habits) before we get to finally move on with the series and see what becomes of this world and these characters.